Professor Nick Gaskell has 40 years experience as a research active academic. Since being at the TC Beirne School of Law he has held the posts of Dean of Law and Head of School (Acting), Director of the Marine and Shipping Law Unit, and Director of Research. Prior to joining the School he held (from 1994) the titled position of "David Jackson Professor of Maritime and Commercial Law" at the School of Law of the University of Southampton, UK. From 2003-2007 he was Head of that School, and from 1996-1999 was Director of its Institute of Maritime Law. He has lectured widely to the maritime professions and academic community all over the world, including Belgium, China, Denmark, Finland, France, Germany, Greece, Holland, India, Italy, Japan, Korea, Malta, New Zealand, Norway, Pakistan, Poland, Singapore, South Africa, Sweden, Yugoslavia, UK. He first worked with the Maritime Law Association of Australia and New Zealand on courses in the 1980s and 1990s and continues to be an active member. He was a Visiting Law Lecturer at Monash University in 1984 and 1986. He has represented the International Union for the Conservation of Nature and Natural Resources (IUCN) at the International Maritime Organisation's Legal Committee, and at the meetings of the International Oil Pollution Compensation Funds. He has attended and participated in many diplomatic conferences which have produced international maritime law conventions, including the Salvage Convention 1989, the 1992 Protocol to the Civil Liability Convention for Oil Pollution Damage, the Hazardous and Noxious Substances Convention 1996, the Bunker Pollution Convention 2001, the Athens Convention on the Carriage of Passengers 2002, and the liability Protocol to the Antarctic Convention. Professor Gaskell has written books and articles on a wide range of maritime and related commercial law subjects. 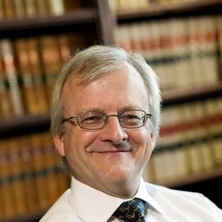 His work on carriage of goods by sea (bills of lading) has been cited in courts internationally, including Australia (High Court, Federal Court, Supreme Court of Victoria), Hong Kong, Singapore (Court of Appeal), New Zealand (High Court) and the UK (including the House of Lords). He is a Titulary Member of the Comite Maritime International (CMI), a qualified UK barrister and is an associate tenant of Quadrant Chambers (a leading set of maritime law chambers in London). Gaskell, Nick (2016). Limitation of liability and division of loss in operation. In Simon Gault, Steven Hazelwood, Andrew Tettenborn, Edward Cole and Thomas Macey-Dare (Ed. ), Marsden and Gault on collisions at sea 14th edition ed. (pp. 973-1020) London, United Kingdom: Sweet & Maxwell. Gaskell, Nick (2015) Developments in Australian Maritime Law 2013-2014. Journal of Maritime Law and Commerce, 46 3: 311-351. Gaskell, Nick (2014) Australian Merchant Shipping and Maritime Powers Laws. Il Diritto Marittimo, 310-336. Gaskell, Nick (2013). Compensation for offshore pollution: ships and platforms. In Malcolm Clarke (Ed. ), Maritime Law Evolving (pp. 63-93) Oxford, United Kingdom: Hart Publishing. Gaskell, Nick (2010) Bills of Lading in an Electronic Age. Lloyds Maritime and Commercial Law Quarterly, 2010 2: 233-284. Gaskell, Nicholas (2009) The Bunker Pollution Convention 2001 and limitation of liability. Journal of International Maritime Law, 15 1: 477-494. Nick Gaskell, Regina Asariotis and Yvonne Baatz Bills of Lading: Law and Contracts 1st ed. Aus: LLP, 2000. Nick Gaskell and E Brown The Law Relating to Autonomous Underwater Vehicles 1st ed. Aus: Society for Underwater Technology, 2000. Nick Gaskell and E Brown The Law Relating to Autonomous Underwater Vehicles: Questions and Answers 1st ed. Aus: Society for Underwater Technology, 2000. Gaskell, Nick (2012). The Law of Tug and Tow and Offshore Contracts (3rd 3e) 2011, by S. Rainey. In D. R. Thomas (Ed. ), Journal of International Maritime Law 18 ed. (pp. 322-323) Witney, Oxon, United Kingdom: Lawtext Publishing. Gaskell, Nickolas (2011). Compensation for offshore pollution from ships: Problems and solutions. In K.E. Lindgren and N. Perram (Ed. ), International commercial law, litigation and arbitration : Conference proceedings (pp. 99-123) Alexandria, N.S.W., Australia: Ross Parsons Centre for Commercial, Corporate and Taxation Law, University of Sydney. Nick Gaskell and C. Smith (2005). Private Law Rights Applicable to Seafarers. In Deirdre Fitzpatrick & Michael Anderson (Ed. ), Seafarers' Rights 1st ed. (pp. 169-266) United Kingdom: Oxford University Press. Gaskell, Nick and Smith, Christopher (2005). Private law regimes applicable to seafarers. In Deirdre Fitzpatrick and Michael Anderson (Ed. ), Seafarers' rights (pp. 169-226) Oxford, England, U. K.: Oxford University Press. Nick Gaskell (2003). 'Charterers' Liability to Shipowner Orders, Indemnities and Vessel Damage. In Johan Schelin (Ed. ), Modern Law of Charterparties 1st ed. (pp. 19-80) Stockholm, Sweden: Jure AB, Stockholm. Nick Gaskell (2000). Pollution Limitation and Carriage in the Aegean Sea. In Francis D. Rose (Ed. ), Lex Mercatoria: Essays on International Commercial Law in Honour of Francis Reynolds 1st ed. (pp. 71-103) TBA: LLP. Nick Gaskell (1998). Limitation of Liability and Division of Loss. In Simon Gault (Ed. ), Marsden on Collisions at Sea 12th ed. (pp. 828-864) United States: Sweet & Maxwell. Gaskell, Nick (2017) International Carriage of Passengers by Sea. Journal of Business Law, 261-267. Gaskell, Nick (2016) Jurisdiction over Ships: Post-UNCLOS Developments in the Law of the Sea. Journal of International Maritime Law, 151-154. Nick Gaskell (2015) Australian Recognition and Enforcement of Foreign Charterparty Arbitration Clauses: Norden v Gladstone. Lloyd's Maritime and Commercial Law Quarterly, 2014 Part 2: 174-182. Jurisdiction over criminal acts on cruise ships: perhaps, perhaps, perhaps? Lewins, Kate and Gaskell, Nick (2013) Jurisdiction over criminal acts on cruise ships: perhaps, perhaps, perhaps?. Criminal Law Journal, 37 4: 221-245. Gaskell, Nick (2013) Review of Sturley, M, Fujita, T, Van Der Ziel, J, 'The Rotterdam Rules, the UN convention on contracts for the international carriage of good wholly or partly by sea'. Australian and New Zealand Maritime Law Journal, 27 1: 42-46. Gaskell, Nick (2013) Review of Sturley, M, Fujita, T, Van Der Ziel, J, The Rotterdam Rules (2013). Australian and New Zealand Maritime Law Journal, 27 1: 26-42. Gaskell, Nick (2013) Sturley, M, Fujita, T, Van Der Ziel, J, The Rotterdam Rules, The UN Convention on Contracts for the International Carriage of Goods Wholly or Partly by Sea - Book Review. Australian and New Zealand Maritime Law Journal, 27 1: 42-46. Gaskell, Nick (2012) The Law of Tug and Tow and Offshore Contracts (3rd 3e) 2011, by S. Rainey. Journal of International Maritime Law, 322-323. Australia's offshore constitutional law: Time for revision? White, Michael and Gaskell, Nick (2011) Australia's offshore constitutional law: Time for revision?. Australian Law Journal, 85 8: 504-520. Gaskell, Nick (2002) Admiralty claims and the new CPR part 61. Lloyd's Maritime and Commercial Law Quarterly, 520-527. Gaskell, Nick (2001) Bills of lading and waybills: practical problems and solutions. Diritto Marittimo, 103 1016-1043. Gaskell, Nick (2001) Transport documents and the CMI draft outline instrument 2000. Diritto Marittimo, 103 573-595. Gaskell, Nick (2017). Australian maritime law and international perspectives. In: Institute of Maritime Law, University of Southampton, (). 2 August 2017. Gaskell, Nick (2017). Energy Cargoes: liability and the environment. In: Global Shipping Law Forum 2017, Shipping and Energy: The Role of the Law, Queen Mary University of London, London, (). 12-13 July 2017. Gaskell, Nick (2017). International Liability and Compensation Conventions. In: The International Maritime Organisation’s (IMO) Conventions, Maritime and Shipping Branch, Department of Infrastructure and Regional Development, Canberra, (). 3-5 May 2017. Gaskell, Nick (2017). Liability and Compensation Regimes: Oil and HNS pollution of the High Seas. In: High Seas Governance: Gaps and Challenges, Singapore, (). 24 - 25 April 2017. Gaskell, Nick (2017). Limitation of Liability for Maritime Claims (LLMC Convention). In: AMSA’s 2nd Annual Salvage & Wreck Workshop 2017, Sydney NSW Australia, (). 28-29 November 2017. Gaskell, Nick (2016). Overview of Electronic Bill of Lading – Advantages & Challenges. In: Electronisation of Transferable Documents or Instruments Used in International Trade, Singapore, (). 10-11 March 2016. Nick Gaskell (2015). Express and Implied Indemnities in Time Charterparties. In: Global Shipping Law Forum on Indemnities and Guarantees In Maritime Law, National University of Singapore, (). 6-8 December 2015. Nick Gaskell (2015). Good Faith in Carriage Contracts - a Comparative Perspective. In: Rethinking Commercial Law Conference, Norton Rose Fulbright Auditorium in London, (). 19 June 2015. Nick Gaskell (2015). The IMO Pollution Liability Conventions. In: Expanded Asean Maritime Forum (EAMF EAST) Trans-Boundary Maritime Environmental Pollution Workshop, Brisbane, (). 20 â€" 22 May 2015. Nick Gaskell (2014). Limitation of Liability for Maritime Claims. In: Maritime 2014 - Ship to Shore, Melbourne, (). 10-12 November 2014. Nick Gaskell (2014). Wreck Law- International Perspectives. In: Protection of Marine Environment: Minimizing Marine Pollution from Laid-up Ships, Wrecks and Abandoned or Disused Offshore, International Affairs Division of the Attorney General's Chambers of Malaysia, (). 26 June 2014. Nick Gaskell (2013). Limitations of the Liability Regime. In: International Oil Spill Conference for the Asia-Pacific Region - Spillcon 2013, Cairns, Queensland, (). 11 April 2013. Nick Gaskell (2013). Salvage, Towage, Intervention and Wreck: Conventions and Contracts. In: Marine Casualty Workshop, Australian Maritime Safety Authority, Sydney, (). 25-26 June 2013. Nick Gaskell (2013). The Hako Endeavour 2013: Crewing Contracts, Demise Charters and Admiralty Jurisdiction. In: The Changing Face of Shipping, Maritime Law Association of Australia and New Zealand, Hunter Valley, New South Wales, (). 5 April 2013. Nick Gaskell (2012). Electronic Bills of Lading: Past Present and Future. In: Maritime Law Association of Australia and New Zealand, Melbourne, (). 1 November 2012. Nick Gaskell (2012). Force Majeure in Coal Contracts. In: Marine & Shipping Law Unit, Brisbane, (). 8 June 2012. Gaskell, Nicholas (2011). Compensation for offshore pollution from ships: Problems and solutions. In: K.E. Lindgren and N. Perram, The proceedings of a Conference organised by the Federal Court of Australia, the Ross Parsons Centre of Commercial, Corporate and Taxation Law and the Business Law Section of the Law Council of Australia. Conference on International Commercial Law, Litigation and Arbitration, Sydney , Australia, (99-123). 5-7 May 2011. Nick Gaskell (2011). Developments with Electronic Bills of Lading. In: Maritime Law Association of Australia and New Zealand, Sydney, (). 11 March. Nick Gaskell (2011). Preliminary Act and Evidence in Collision Cases. In: Federal Court Judicial Education Day, Federal Court Melbourne, (). 25 August. Nick Gaskell (2011). Rotterdam Rules: Choices for New Zealand. In: Maritime Law Association of Australia and New Zealand, New Zealand - Taupo, (). 8 April. Nick Gaskell (2010). Seafarers' Rights: Claims and Enforcement. In: Nautical Institute, World Maritime Day, Blake Dawson, Brisbane, (). 6 October. Nick Gaskell (2009). Bills of Lading in an Electronic Age. In: 11th Hasselby Colloquium, Seden, (). 2009. Nick Gaskell (2009). Bunker Pollution Convention and Limitation. In: 7th International Maritime Law Conference, Shanghai, China, (). 28 October. Nick Gaskell (2009). The Rotterdam Rules: Issues for Australia. In: Richard Cooper Memorial Lecture 2009, Federal Court, Brisbane, (). 28 October. Nick Gaskell (2008). Breaking Limitation. In: Korean Shipowners' Association, Seoul, Korea, (). 2008. Nick Gaskell (2008). UNCITRAL Draft Convention 2008 and Transport Documents. In: Pusan University, Korea, (). 2008. Nick Gaskell (2007). Maritime Pollution Conventions and Sustainable Development. In: Kobe University, Japan, (). 2007. Nick Gaskell (2006). Implementation of Bunker Pollution Convention 2001. In: Regional Marine Pollution Emergency Response Centre for the Mediterranean Sea (REMPEC), Malta, (). 2006. Nick Gaskell (2005). Recent Developments in Marine Pollution Law. In: Athens University, Greece, (). 2005. Nick Gaskell (2003). Athens Protocol 2002. In: Finnish Maritime Law Association, Helsinki, Finland, (). 2003. Nick Gaskell (2002). A New Deal for Passengers? The Draft Protocol to the Athens Convention 1974. In: British Maritime Law Association, United Kingdom, (). 2002. Nick Gaskell (2002). A Practical Introduction to Shipping Law. In: Ince & Co, London, London, (). 2002. Nick Gaskell (2002). Charterers' Liability and Damage to the Vessel. In: Danish Maritime Law Association, Copenhagen, Denmark, (). 2002. Nick Gaskell (2002). Foundation Course in Shipping Law. In: City Solicitors' Consortium, London, (). 2002. Nick Gaskell (2002). The Hill Harmony and Charterer's Liability and Revisions to the Athens Convention 1974. In: Stockholm University, Sweden, (). 2002. Nick Gaskell (2002). Titanic: Past Present and Future. In: University of Wales, University of Wales, (). United Kingdom. Nick Gaskell (2001). Autonomous Underwater Vehicles: the Law. In: Oceanography Conference, University of Southampton, United Kingdom, (). 2001. Nick Gaskell (2001). Bills of Lading and Waybills Problems & Solutions and Transport Documents. In: The Discipline of Carriage of Goods Present and Future, University of Genoa, (). 2001. Nick Gaskell (2001). Bunker Pollution Convention 2001. In: IML & BMLA, London, United Kingdom, (). 2001. Nick Gaskell (2001). Charterers' Liability and Damage to the Vessel. In: 9th Hasselby Colloquium, Stockholm, Sweden, (). 2001. Nick Gaskell (2001). Private International Law and Seafarers: Jurisdiction and Enforcement. In: Lawyer's Conference, Investment Treaty Forum, London, United Kingdom, (). 2001. Nick Gaskell (2001). Revision of the Athens Convention 1974 on the Carriage of Passengers and Their Luggage by Sea. In: Fourth International Conference on Maritime Law, Piraeus Bar Association Conference, Athens, Greece, (). 2001. Nick Gaskell (2001). Shipping Contracts: Common Law Perspective. In: University of Bologna, Italy, (). 2001. Nick Gaskell (2000). Decision Making in the Legal Committee of the IMO - Legislative Approaches to Maritime Law. In: European Colloquium on Maritime Law Research, Oslo, Norway, (). 2000. Where Does the Law of Salvage Come From? Nick Gaskell (2000). Where Does the Law of Salvage Come From?. In: International Marine Salvage Seminar 2000, London, United Kingdom, (). 2000. Submission to UK Department for Transport Consultation on changes to domestic legislation implementing certain international maritime liability conventions (in particular, revision of the LLMC 1996). 27 January 2016.